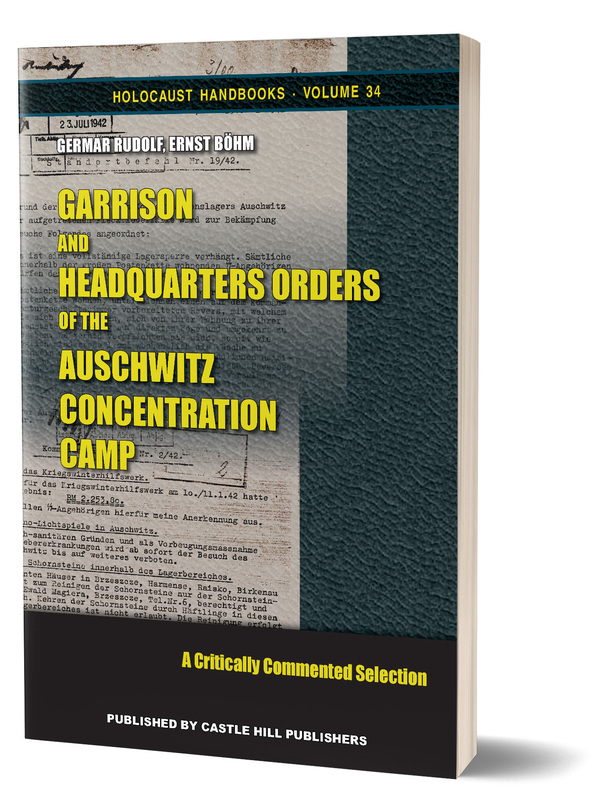 Carlo Mattogno: Garrison and Headquarter Orders of the Auschwitz Concentrations Camp—A Critically Commented Selection. 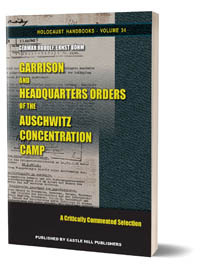 A large number of all the orders ever issued by the various commanders of the infamous Auschwitz camp have been preserved. They reveal the true nature of the camp with all its daily events. There is not a trace in these orders pointing at anything sinister going on in this camp. Quite to the contrary, many orders are in clear and insurmountable contradiction to claims that prisoners were mass murdered. This is a selection of the most pertinent of these orders together with comments putting them into their proper historical context. Pre-Order Placement: You can place an order for this book already now. You don't have to pay anything up front. We will merely send you an order confirmation. Once the book is for sale, you will receive your copy with an invoice and instructions on how to pay. The procedure is automatic, so don't worry, our database will not forget you. To place a pre-order, simply contact us, telling us the book you'd like to pre-order, how many copies of it, and where you want it shipped.